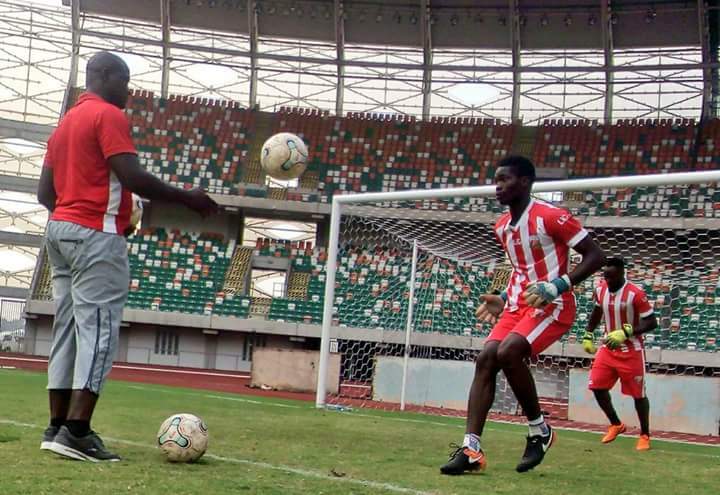 Home / Unlabelled / NPFL PREVIEW PICTURES: HEARTLAND FACES ANOTHER TOUGH CHALLENGE AGAINST AKWA UNITED. 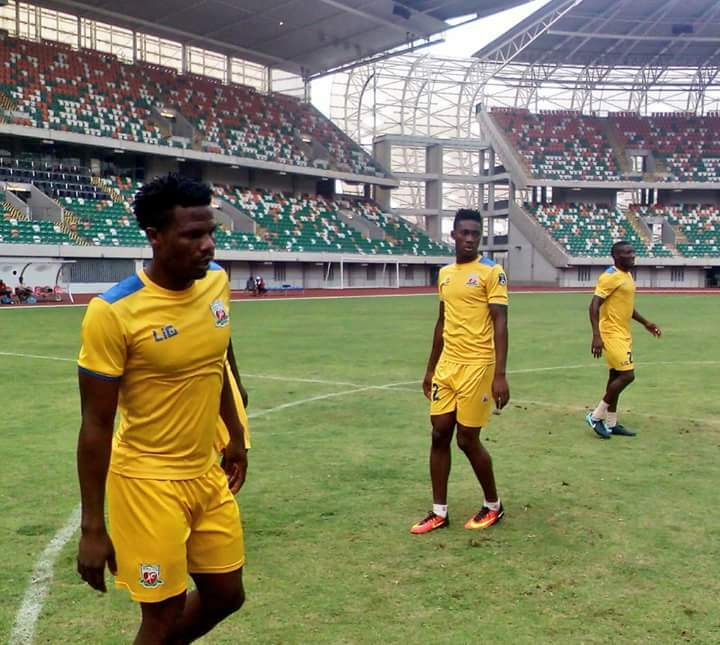 NPFL PREVIEW PICTURES: HEARTLAND FACES ANOTHER TOUGH CHALLENGE AGAINST AKWA UNITED. 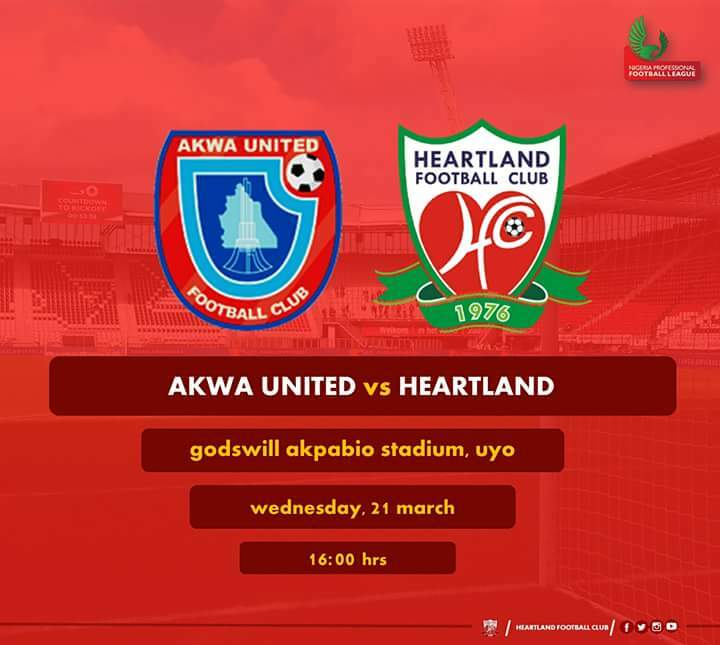 Heartland FC will be playing away in Uyo against Akwa United after loosing away to Katsina United just a few days ago. 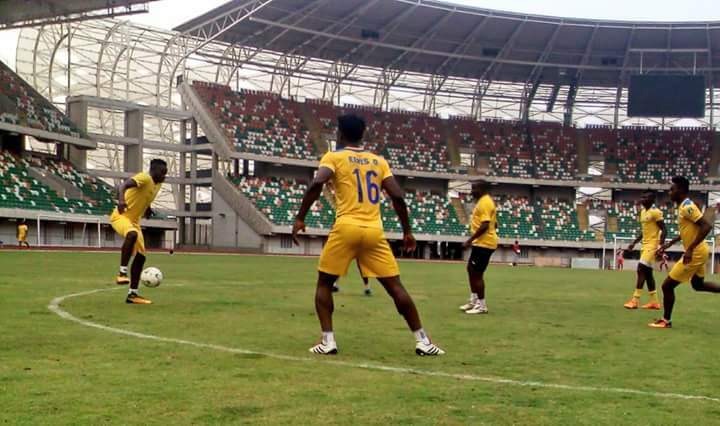 A minimum of a draw in the game will mean a lot to the Owerri side who are currently placed 18th on the league table. As it is now, a major priority of the team is to leave the relegation zone. Another significance of this encounter is that both team have a partnership deal with Dana Air which is now offering a free return tickets to fans who come out to watch the game live. We may be expecting to see a filled stadium because of this offer. Akwa United are currently placed third on the table though they have two outstanding games aside the Heartland encounter. 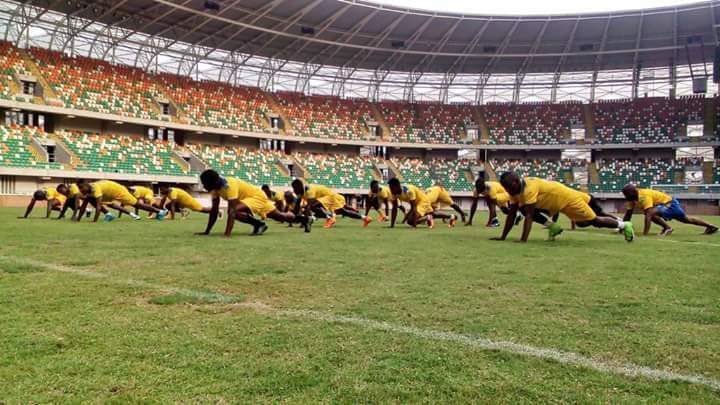 They will play with a much greater confidence after qualifying into the next round of the CAF Confederations Cup.